Online consumers electronics retailer Expansys is currently offering £15 discount on a UK Nexus 7 32GB 2013 Wi-Fi tablet, plus a free ASUS Travel Cover to keep your ultra-portable device safe on the move. Prior to this promo, the Asus Travel cover is worth £19.99. It is available in five-color varieties -- blue, pink, red, green and dark grey. The Nexus 7 2013 32GB Wi-Fi tablet is originally priced at £219.99 while the Google variant is worth £239. 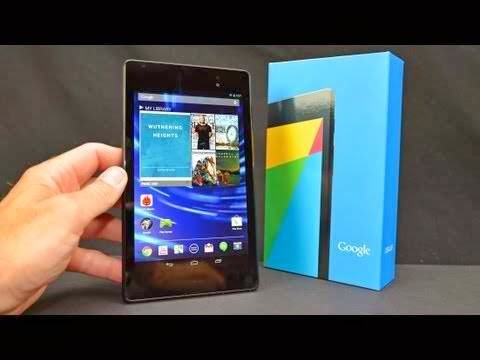 Anyone (from the UK) who wants to avail of the currently offered discount on ASUS Google Nexus 7 tablet would need to enter a voucher code, or simply visit the Expansys product page and proceed with the special purchase. Among the key features of the 2013 Nexus 7 32GB Wi-Fi tablet would include an incredible high resolution display (7-inch HD IPS display with a 1920 x 1200 resolution), rear camera, enhanced wireless and wireless charging, excellent CPU performance (1.5GHz quad-core Snapdragon S4 Pro CPU) and an improved Android 4.3 Jelly Bean OS. Android 4.4 KitKat update will soon be available.